As you are may be aware, ‘Petya’ is the latest global Ransomware outbreak. Just a month ago it was WannaCry. Petya does WannaCry one better. Instead of merely encrypting all your data files on all vulnerable servers and computers on your network, it makes them unbootable without paying the ransom and even then the odds of a successful unlock are less than 50%. If you run the latest Windows operating systems and have automatic updating turned on you should be protected from this variant. If you don’t you may be exposed to severe risk. 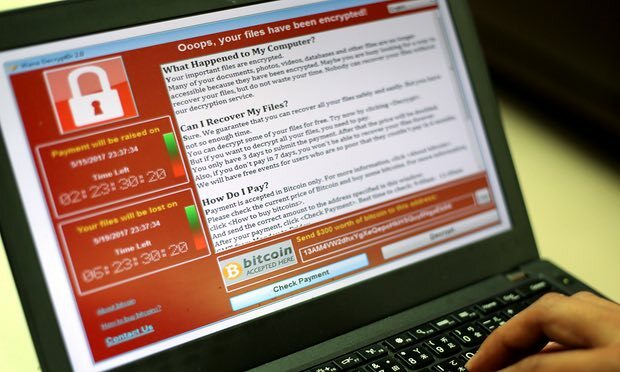 Regardless, Ransomware is hands down the #1 source of unexpected IT data loss and downtime and is a much more likely risk than fire or natural disaster. How to permanently protect yourself against this and future Ransomware as well as other IT disasters such as crashed drives, human error, fire, flood etc. This week it’s Petya but you never know what is going to happen to your IT systems or when. We’ve seen a $2 part in a sprinkler head break and flood a server room on a Friday night leading to IT disaster. Clients First’s EverSafe solution is a hardware, software and services solution that actively protects you against all unexpected IT downtime. Even if some of your key applications are in the cloud, it’s likely you still have some data and systems on-premise. EverSafe continually backs up or ‘snapshots’ your entire IT infrastructure, including your ERP software as frequently as every 5 minutes. It actively looks at the backed up data and will send out immediate alerts to you as well as us if it detects the latest snapshot has files being affected by RansomWare. In the event this occurs, we can track down the source machine, address the infection, while simultaneously restoring all the affected files quickly from the last unaffected backup. If one or more of your servers suffers a failure like a crashed hard drive, the EverSafe device can boot up a 5 minute old ‘clone’ of the affected server(s) and be online servicing your users again literally in minutes. If you had a site disaster like a fire or flood, we can boot up the backups we are continually sending to our cloud data centers. They will run on the EverSafe enterprise hardware in the cloud and your users can work from home or alternate locations until your facility is moved or repaired.